I was born in Santa Clara, California on April 22, 1990. I have 2 brothers Dan and Cal. 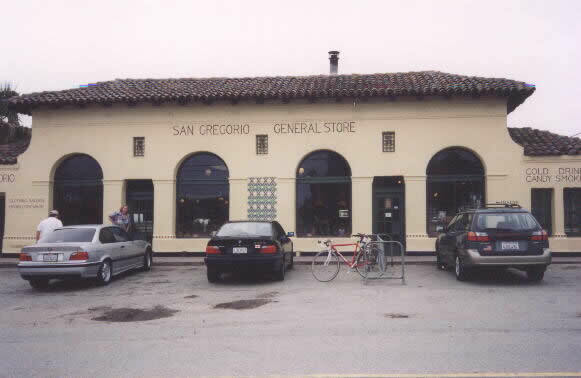 We moved to San Gregorio when I was 4 months old. I was raised out in the country most of my life. My younger brother and I were homeschooled at a young age. We raised a lot of different animals since we had so much land to do it on. Two years ago we had a Tragedy and had to move to El Granada, Where we still live today. When we first moved we lived at my grandparents house, but soon moved into a trailer on the same property. My parents were building our house while we lived in a trailer. It took 6 years to build our house. Most of that time was focused on getting supplies for construction during the week and building on the weekend. There was a creek surrounding our house with a lot of property around us. We had to get to our house using a dirt road that was very hard to travel on at certain times of the year. Our house was a 3 bedroom, one bathroom house that was a hexagon shape. My dad designed it to be almost fireproof since it was made out of cement blocks. We also had a lap swimming pool that was fenced in to protect us when we were younger, and help keep out animals. The first school I attended was La Honda Elementary. It was the closest school to our house. After a few years my parents decided to take us out of school since they were very unhappy about the way things were being done. My mom taught us through the schools Independent Study Program. We joined a homeschool group from Half Moon Bay that had seventy other homeschool families. We made a lot of friends and had a lot of co-op classes. We were able to go on a lot of field trips and have a more flexible schedule. We changed our ISP to the Cabrillo School district after a few years. When I was 15 years old I was able to take classes at CSM. I was nervous at first, but it went very well for me. Being homeschooled allowed me opportunities I wouldn’t have otherwise.